Offering higher performance and greater possibilities at a much more attractive price point than a traditional shared hosting account make Virtual Servers (Sometimes known as Virtual Private Servers - or VPS'es) one of the most popular choices for our customers looking for a step up from traditional shared hosting accounts. 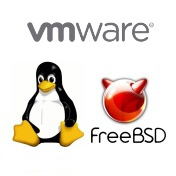 Virtual Servers are highly customizable and able to run almost any operating system. Our customers are utilizing our Virtual Server infrastructure to run high performance web server clusters, Microsoft Exchange and SQL clusters, and as an integral part of disaster recovery setups. Our co-location customers often purchase them as an addition to their accounts to run low system requirement services such as DNS and e-mail to free up rack space for higher requirement servers. Our Free Software Virtual Machiens are one of our most popular options here at Webfire! Low price, high performance, and guaranteed availability make these Virtual Machines a popular choice for Hobbyists and Businesses alike! Windows Server virtual machines running on our high performance cluster benefit greatly from the direct attachment to our Storage Area Network infrastructure. This renders them perfect for hosting Microsoft Exchange, Microsoft SQL, or any other Enterprise application! With Virtual Machines running Windows Server system on Webfire's Virtual Machine infrastructure, you get an Enterprise grade Virtualization setup all backed by Webfire's excellent service levels and support, at a fraction of the cost of setting up and maintaining an in-house solution. When we were looking for a solid foundation for our Virtualization product offerings, we found many players in the field, but none could stand up to EMC! 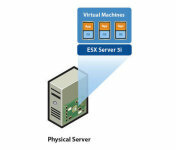 Check out our Virtual Server page for all our new offerings! Strong and reliable, this operating system is world renound for its consistant terrific performance under high load and system security.